We’ve known for a little while now that Benedict Cumberbatch was going to be taking on the role of Marvel’s Doctor Strange in the upcoming flick this winter. But with Captain America being the big news at the moment along with everyone being obsessed with batman vs Superman, Marvel have kept the trailer under wraps. However, as of 12th April, there is now a really intriguing trailer for Doctor Strange that looks completely different to everything that Marvel have ever done before! As some of the comments suggest, the trailer and a lot of the clips within the trailer give off more of a Christopher Nolan feel, the Director for huge films such as Watchmen, the Dark Knight trilogy, Inception and of course the latest Batman vs Superman film. For those of you who don’t know his background, Doctor Strange was an egotistical but very brilliant surgeon turned superhero which sounds absolutely perfect for Benedict Cumberbatch after seeing him play Sherlock. 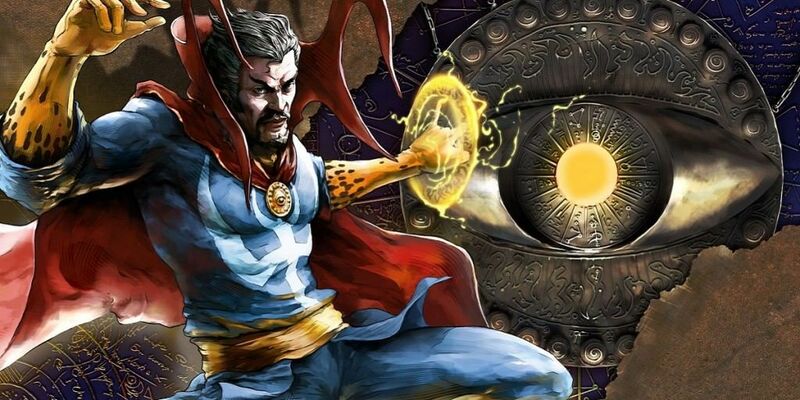 After a car accident destroys his hands and hinders his ability to perform surgery, he searches the globe for a way to repair them and encounters the “Ancient One.” After becoming one of the old Sorcerer Supreme’s students, he becomes a practitioner of both the mystical arts as well as martial arts. One of the very best scenes from the trailer is most certainly the scene at the very end. Doctor Strange is famed for being one of the few Marvel heroes to actually wear a cape. That’s more a thing for DC heroes really. However, his cape is the source of his power and therefore very important to him. Therefore, this behind-the-actor shot showing off Cumberbatch marching upstairs wearing the cape has gotten plenty of Marvel, Comicbook and general movie fans for this first new hero from Marvel since Ant-Man. Let’s hope this films lives up the excellent trailer that Marvel have produced. It’s a trailer that’s definitely gotten us excited but given nothing away really about the plot, let alone any knowledge on enemies or threats Doctor Strange will face. Next articleThis Video This Man Captured Whilst Surfing Will Have You Shaking In Your Boots! The theme park and working film studio opened The Wizarding World of Harry Potter on 7 April 2016; the new land includes the village of Hogsmeade and Hogwarts castle. Here's everything you need to know about the spellbinding attraction. 15 Richest Power Couples – Is Your Favorite Couple One of the Richest?